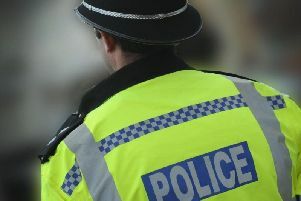 Police are appealing for witnesses to an assault in Crawley that left the victim with a stab wound to his back. An 18-year-old man was walking along Ifield Avenue, near the ambulance station, between 11.20pm and 11.40pm on Friday (October 30) when he was approached by a person known to him, police said. A police spokesman said the man ‘sustained a minor stab wound to his back’, requiring treatment at East Surrey Hospital. A 17-year-old boy from Crawley was arrested on suspicion of GBH. He has been bailed until January 6. Anyone who witnessed the incident can call 101 quoting serial 5 of 31/10. Alternatively, you can call the independent charity Crimestoppers anonymously on 0800 555 111.